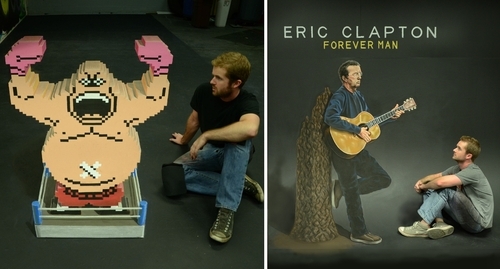 Really cool 3D Street Art by US Artist Chris Carlson. 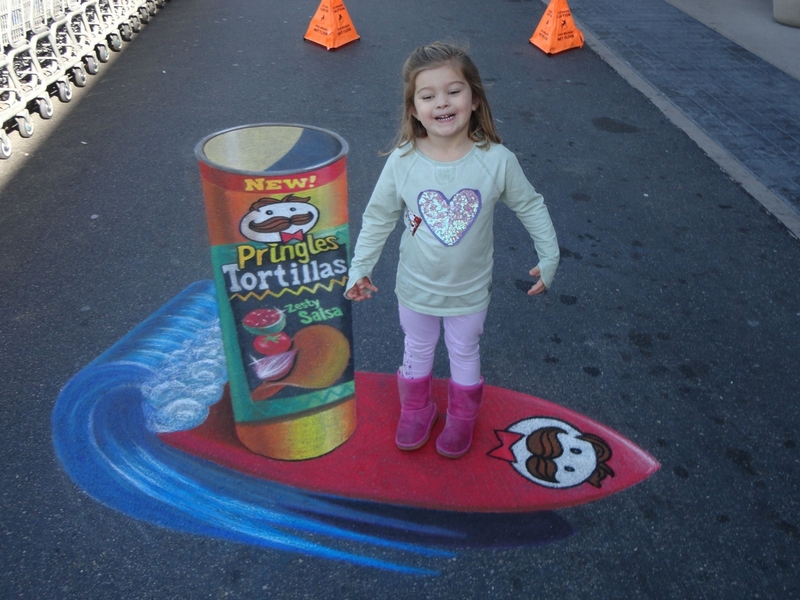 We have brought together his paintings and his chalk drawings but mainly the second, to show you just how good he is and how 3D they really look. In addition to the paintings and drawings we have added 5 videos that show you how Carlson sets up his drawings and how he then tackles them. Hopefully you can find some useful pointers, if you want to create some art of your own. Try it out and enjoy the process. Whac a Mole Drawing Video. 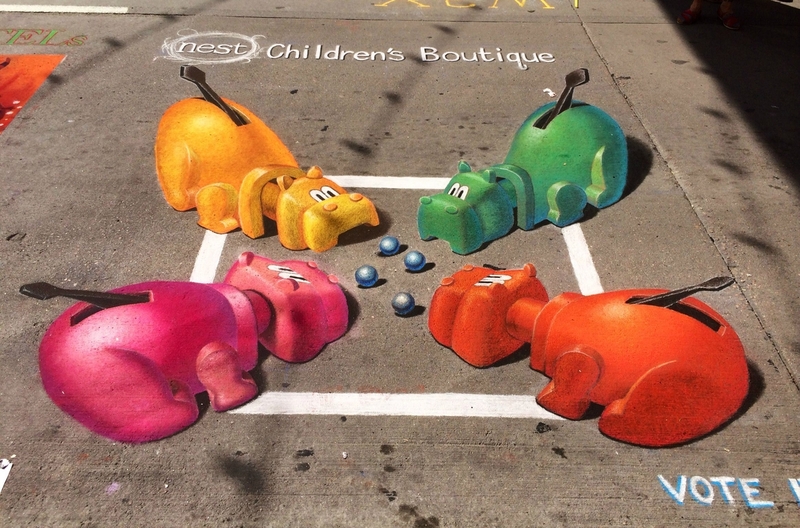 Hungry Hungry Hippos - Soft pastel chalk on pavement. 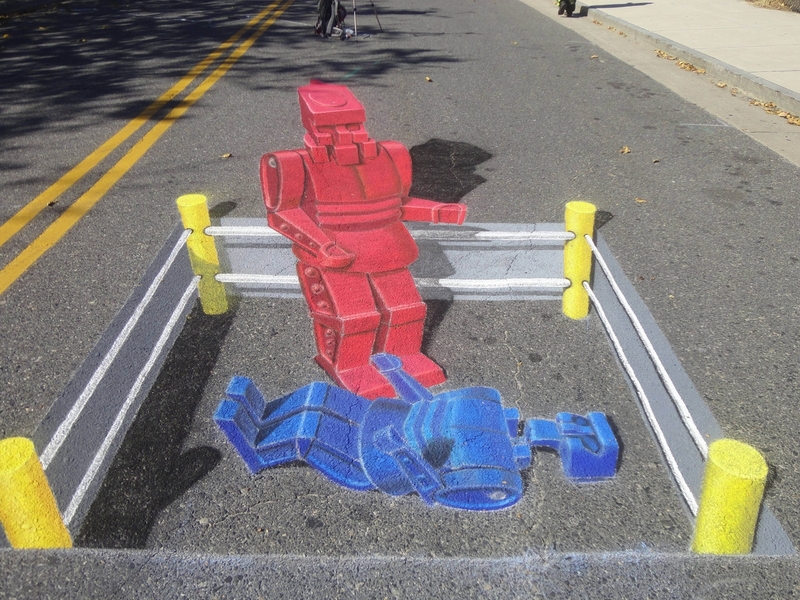 Rock Em Sock Em Robots - Soft pastel chalk on asphalt. 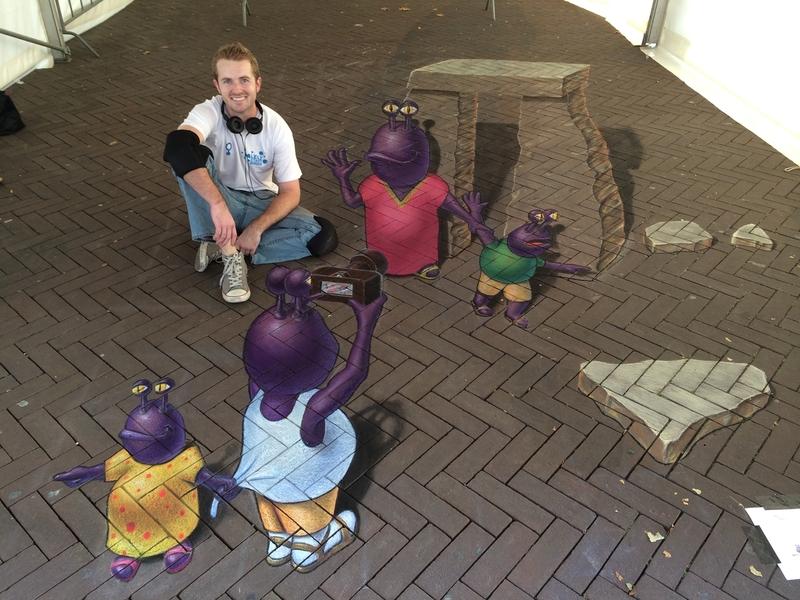 Alien Vacation - Soft pastel chalk on paving stones. 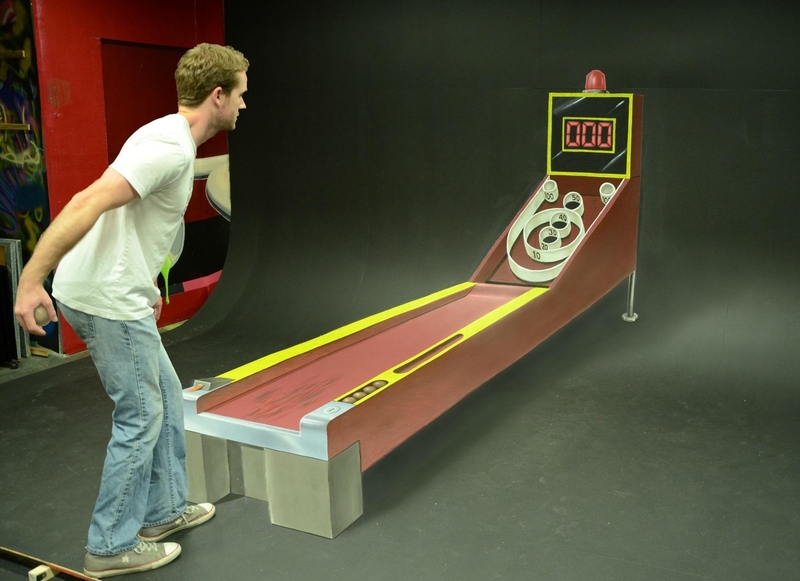 Skee Ball - Acrylic paint on masonite. 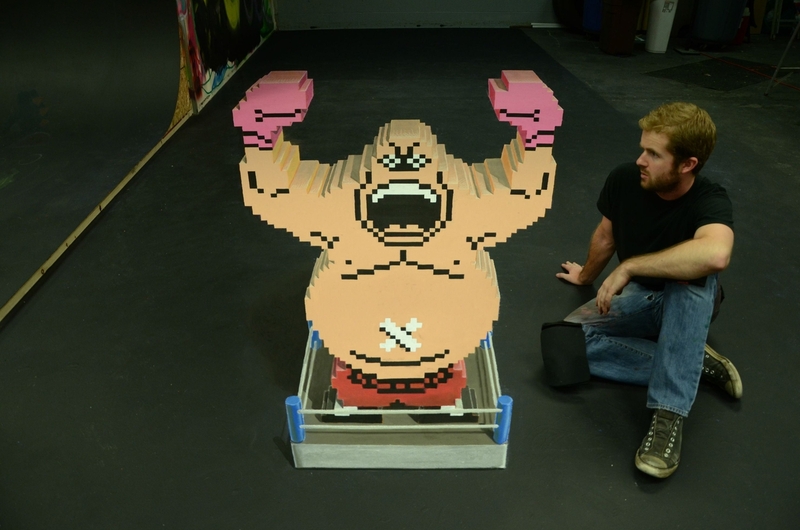 King Hippo - Mike Tyson's Punch-Out - Tempera paint on concrete. 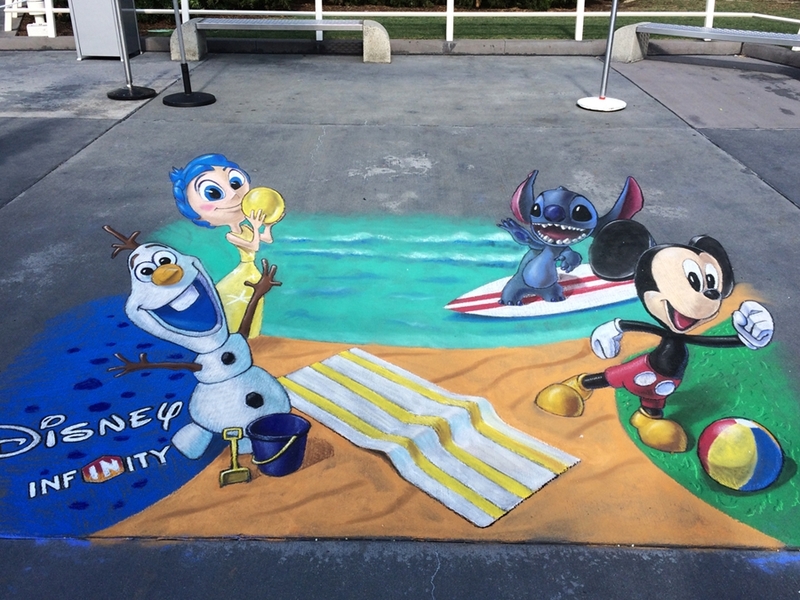 Disney Coolest Summer Ever Promotion Soft pastel chalk. 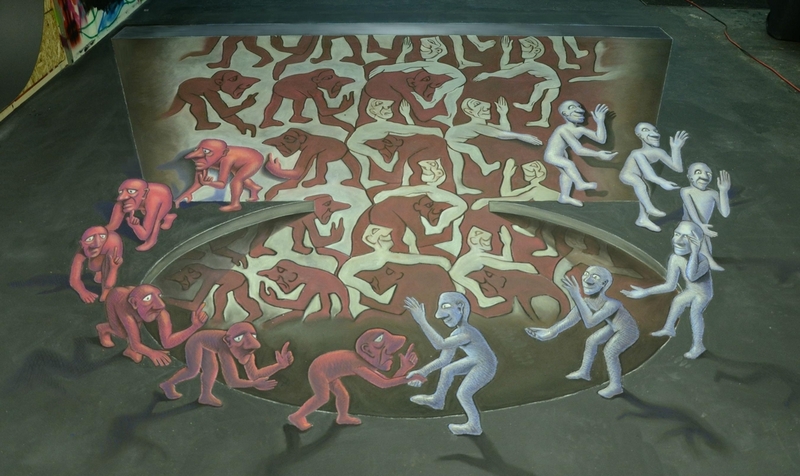 The Encounter - MC Escher - Soft pastel chalk on concrete. 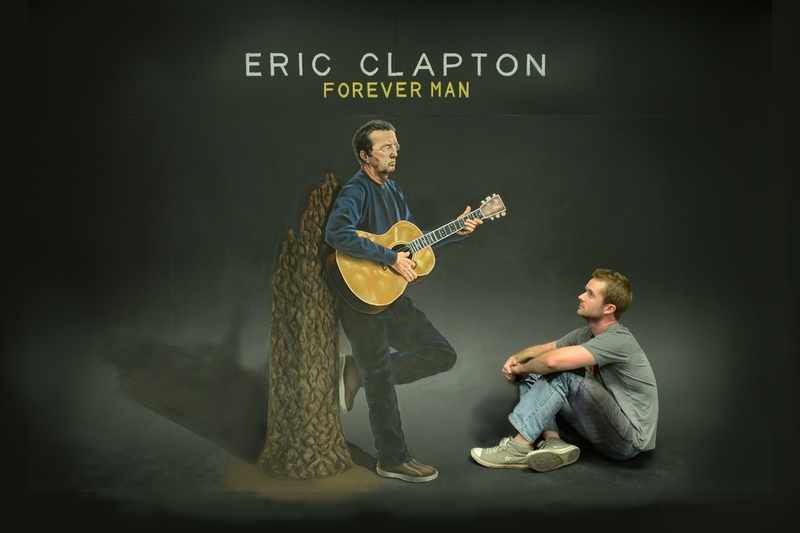 Eric Clapton - Forever Man - Soft pastel chalk on a cyclorama wall. 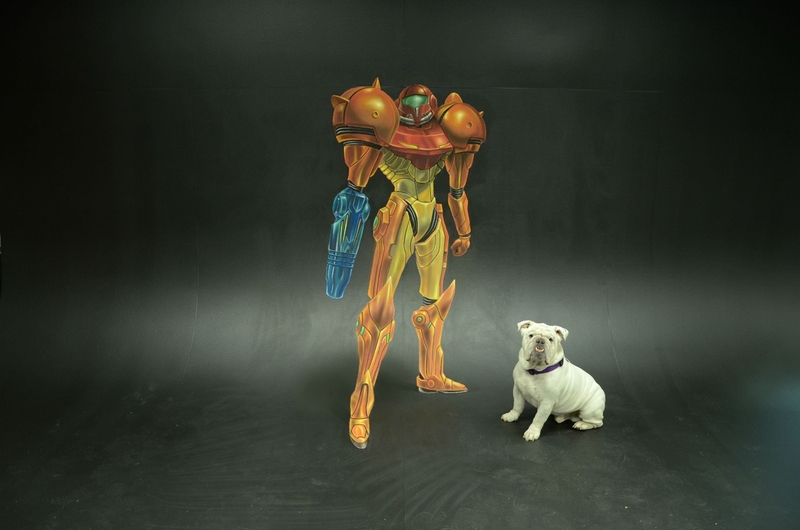 Samus - soft pastel chalk on a cyclorama wall. 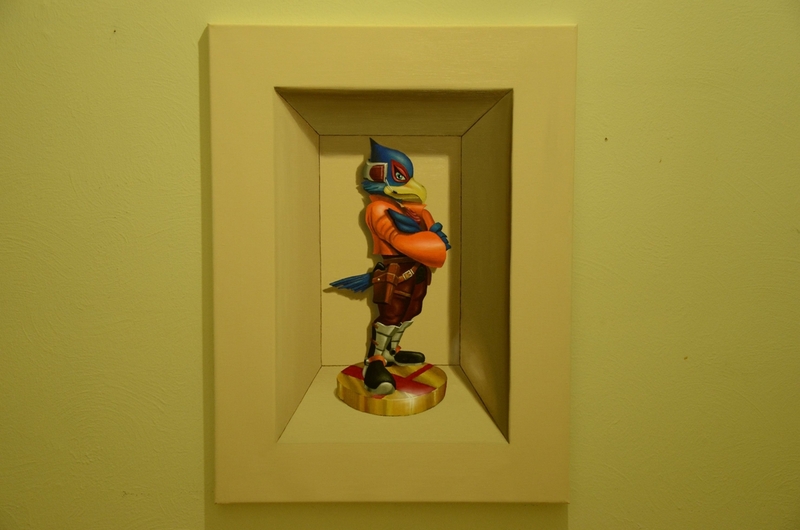 Falco - Oil paint on canvas. 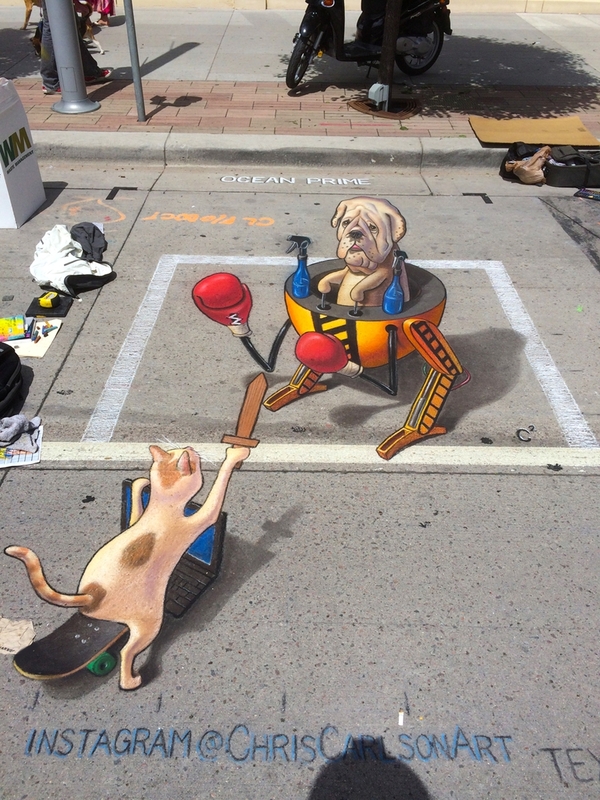 Denver Chalk Art Festival - Soft pastel chalk. 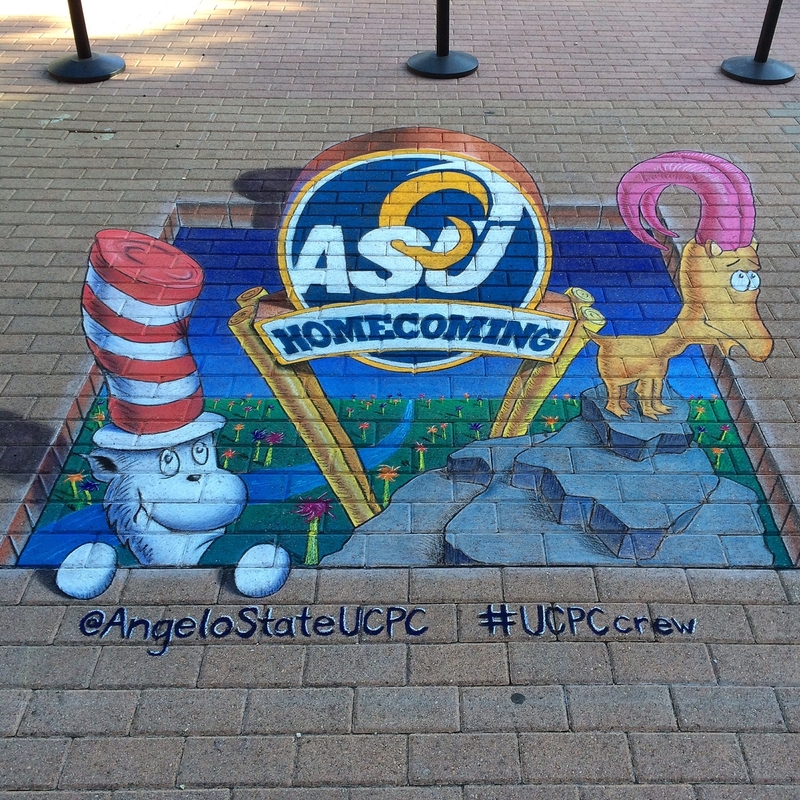 Angelo State University Homecoming - Soft pastel chalk on paving stones.